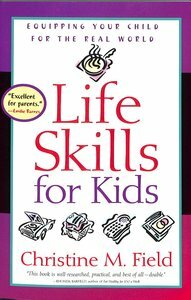 About "Life Skills For Kids"
Does your child know how to handle a check-book? Boil an egg? Do the laundry? Read a map? Homeschooler Christine Field helps parents systematically teach kids -- from preschool to the teen years -- what they need to know to thrive as adults.